The idea of ‘state intervention’ in rebuilding Somnath Temple is invoked to justify the demand for a law on Ram Mandir in Ayodhya. The BJP-RSS’ Hindutva politics envisages Ayodhya dispute as a legitimate mirror image of the Somnath temple. We are told that, in both the cases, Muslim rulers desecrated the most revered Hindus temples to subjugate Hindu majority and to establish Islamic dominance in medieval India. Despite Jawaharlal Nehru’s opposition, the argument goes, Sardar Patel and Rajendra Prasad forced the Indian government to actively intervene in the Somnath case and rebuild it in 1951. But the Ayodhya dispute is significantly different from the rebuilding of the Somnath temple. And precisely for this reason, the nature of ‘state intervention’ in Somnath case must be scrutinised. Today, the idea of state intervention to rebuild a historically desecrated temple for Hindus is invoked to justify the demand that Parliament pass a law for a Ram temple in Ayodhya. But this narrative is not only political but also simplistic. The Somnath temple had always been a contested site. There are many stories on the destruction of this temple by Mahmud Ghaznavi, including the British histories of Islamic iconoclasm in India. However, in recent memory, it was not a mosque-temple dispute. There was an old Ahilyabai Mandir at the location where the original Somnath temple once stood, in the Hindu-majority princely state of Junagadh ruled by a Muslim nawab in the late colonial period. On the eve of Independence, the Nawab announced that his state would join Pakistan. But Junagadh eventually joined the Indian federation and the nawab himself fled to Pakistan. Sardar Patel announced at a public meeting at the Ahilyabai temple on 13 November 1947 that the Somnath temple would be rebuilt. Although the government did not directly provide financial help to the Somnath rebuilding project, an official advisory committee was constituted in 1949 to provide the technical support to the project. In fact, an autonomous endowment called the Somnath Temple Trust was formed to collect money for the construction. The first serious objection to the project came from a section of archaeologists who argued that the ruins of the old temple should not be demolished. The Archaeological Survey of India (ASI) officially proposed that the old structure of the temple should be declared a protected historical monument because the building was more than 100-year-old and by the legal definition of a monument it could not be destroyed. K.M. Munshi, who was also a senior minister in the Nehru cabinet, suggested a practical way out. In my book Muslim Political Discourse in Postcolonial India: Monuments, Memory, Contestation, I have written about how Munshi proposed that the excavation could be carried out before demolishing the old structure and so that a new Somnath temple should be rebuilt on the same site. This proposal did not go against the set rules and norms of the ASI as excavation, restoration and conservation were intrinsically linked to the established archaeological procedures in colonial India. Finally, the excavation at the site of Ahilyabai Mandir was conducted by the ASI under the leadership of B.K. Thapar in November 1950. After the excavation, the site was cleared and the actual construction of a new Somnath temple began. The temple was opened for the public after the ceremonial linga ritual. Rajendra Prasad, the President of India, presided over this public ceremony on 11 May 1951. The Somnath story, especially the role of so-called state intervention, reveals three crucial aspects, which provide a distinctive status to the Somnath project. First, there wasn’t any law passed by Parliament to rebuild Somnath temple. Leaders such as Sardar Patel, K.M. Munshi and Rajendra Prasad participated in this endeavour in their individual capacity – not as representatives of Hindus. Second, the Somnath site was not about Hindu-Muslim conflict. There was a historical memory of a temple, which was destroyed by an invader, who happened to be a Muslim. It was only a question of replacing an old temple with a new temple. And even the old temple was not demolished by any mob in the name of Hindu sentiments. In the case of Ayodhya, there was a functional historical mosque and namaz was offered till the night of 22 December 1949 when the idols were kept forcibly. An FIR was registered and a criminal case was imposed by the state on those who were involved in this act. Similarly, the mosque was demolished by a mob and this violation of peace was seen as a crime against state. Third, the excavation at Somnath was also very specific. A systematic procedure was followed by the ASI following the established principles. In fact, the findings of this excavation were published and made public for further archaeological researches. In Babri Masjid case, the demand to have excavation was not guided by any archaeological impulse. That has been the reason why the pioneering work of archaeologists like H.D. Sankalia on Ramayana sites could not evolve, and the subject subsequently became more of an emotional and political issue. Contemporary Hindutva leaves us with a simple story of Lord Ram’s birth place in the name of a Ram Temple project. No one is bothered to pursue serious archaeological-historical exploration on those aspects of Lord Ram’s life, which do not have any relationship with so-called Muslim invasion, like Ram’s ashram or Ram’s Lanka. The ASI excavation in 2003 too was driven by the mandir impulse. All the political focus and energy is on producing a collective imagination of ‘Babur-Mukt Ram’, creating superficial similarities with Somnath and offering it as a precedent for the Ayodhya dispute resolution. Hilal Ahmed is a scholar of political Islam and associate professor at Centre for the Study of Developing Societies. 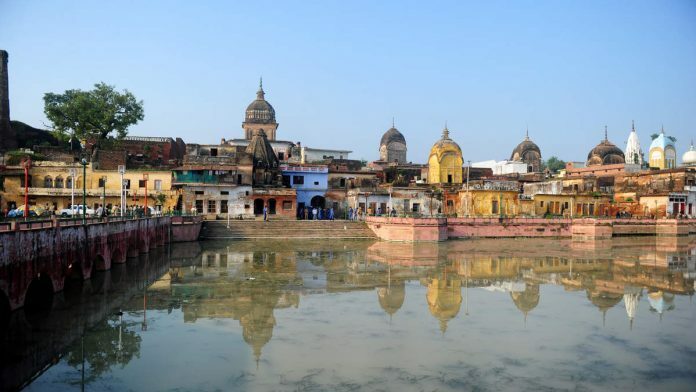 This is a two-part series on Ayodhya by the author. Next articleYogi says Hanuman is Dalit, but will Hindu temples now stop being Brahmin monopoly?